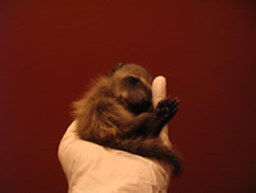 To provide a safe place for injured and orphaned wild animals to grow and mend until they can return to their natural habitat while encouraging public tolerance and understanding of wildlife. If you care enough to rescue and bring in the animal, we will put in the time and energy to rehabilitate it. We accept all wild animals brought to us, regardless of age, species, color, attitude, origin, injury, or need. We are a non-profit, registered charity, based in Saskatoon, SK. A baby raccoon. Mom was shot. Luckily, this little baby was rescued by a concerned neighbor. 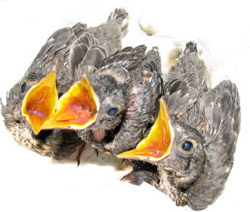 Young robins. Parents were killed by a cat. 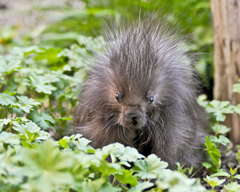 Young porcupine – caught by a dog. Raised and released back into the wild where he belongs.